Movies always look better on the big screen, but the SainSonic Mini LED Portable Projector brings the cinema experience home. It can fill any wall with visual content from multiple sources, and is small enough to take anywhere. 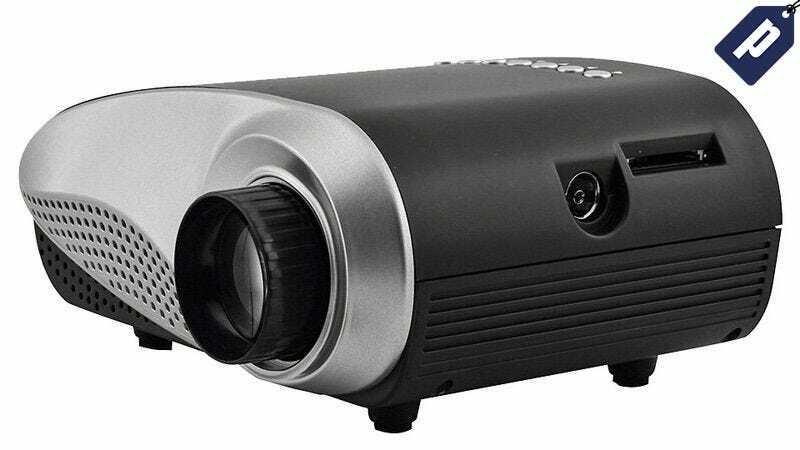 Normally priced at $70, you can grab this powerful projector now for $54.99 + free shipping w/ code PROJ5. The SainSonic allows movie buffs, avid gamers, and Netflix streamers to enjoy content at full size without buying a second TV. It works with analog and digital inputs, as well as SD cards. This handy device projects onto any flat surface, boasts outstanding picture quality and contrast, and works beautifully as an affordable home theater alternative. This deal offers a great $54.99 price tag - over 15% off MSRP. Shipping is free to the Continental US and takes 1–2 weeks. Interested? Hit the link to find out more, and use code PROJ5 for the full discount.